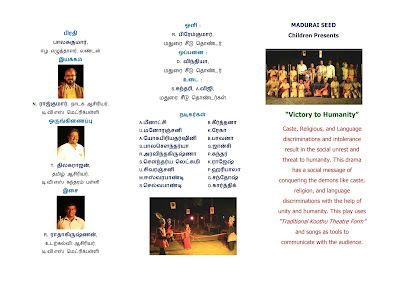 Our children's drama "Maanudam Vellum" performed at Madurai Art Festival on 17 February 2019. 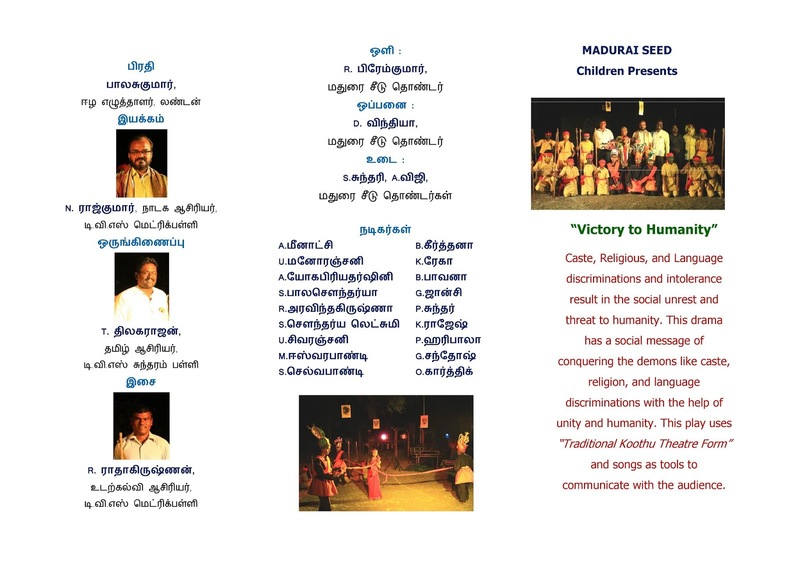 Greetings from Madurai Seed. 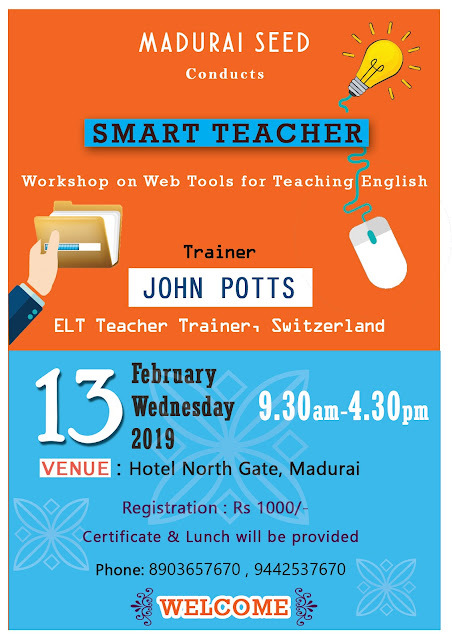 We feel pleased to invite your school teachers to a one day workshop on February 13th, Wednesday. The “SMART TEACHER” workshop will focus on “Web tools for English teachers”. 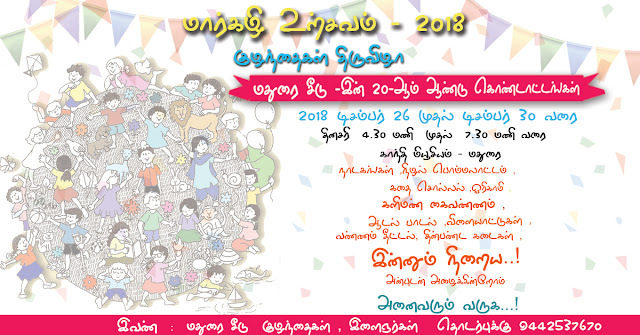 The sessions will have a good mix of inputs and opportunities for the participants to experience various web tools and online resources and to learn effective ways to integrate them in their classroom. Lunch, workshop materials, and a certificate will be provided. If available, participants should bring their laptop / ipad / tablet. This workshop is not a business or profit based initiative. Madurai Seed is a voluntary organization working to empower underprivileged children and young people through education. 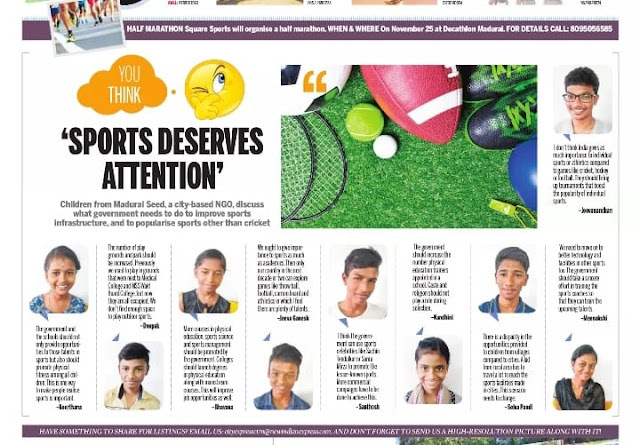 "Sports Deserves Attention" an article with the inputs from Madurai Seed children along with their photos was published by The New Indian Express. Thanks to Journalist Keethana Sundaram. Follow this link to read the article Sports Deserves Attention. This article got published in the news paper "The Hindu" dated November 12, 2018 written by Sanjana Ganesh. V. Elavarasi opens the doors to the first floor of Madurai Seed’s office in Karumbalai in Madurai and is greeted with a friendly ‘hello anni’ (hello sister in-law) from all volunteers. 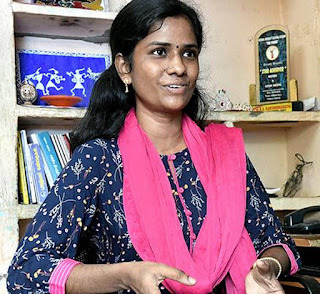 The president and Managing Trustee of an organisation aiming to provide quality supplementary education to girls and boys of Karumbalai, Ms. Elavarasi tellsSanjana Ganesh in an interaction that she is family to almost every adolescent and child in the area. 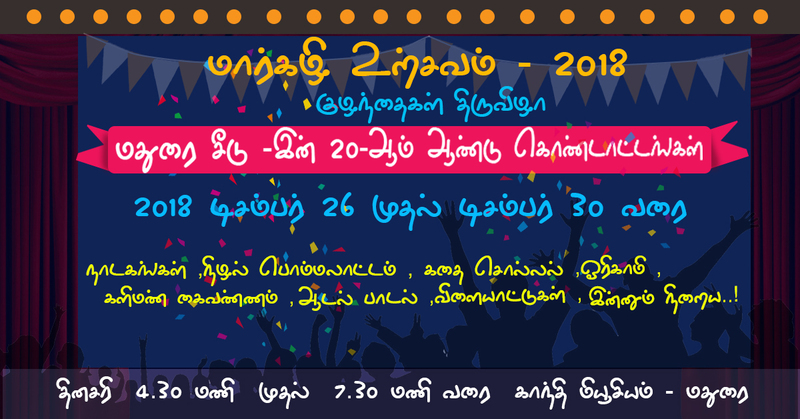 The legend and wit of Thenlai Raman was perfectly revealed in this play. 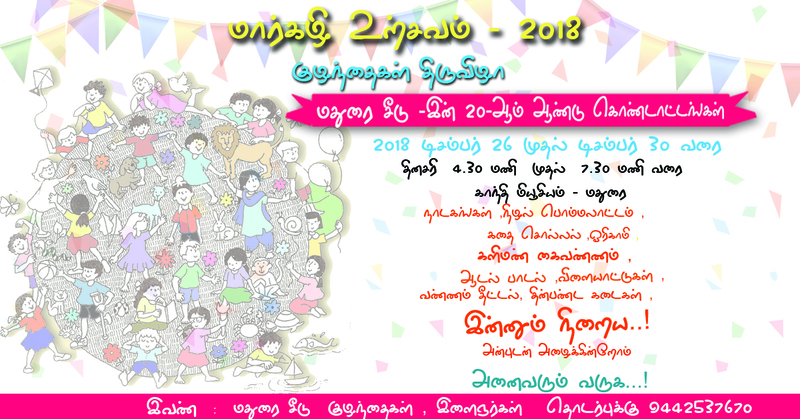 MADURAI SEED is a grass root non- profit organization founded in 1999 committed to promote the socially and economically disadvantaged people with special reference to children and Young People. 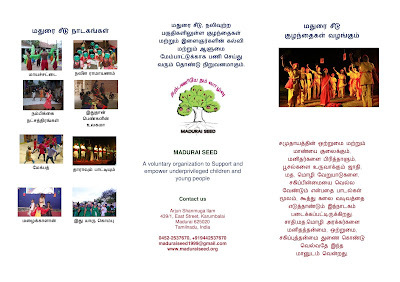 In 2007 MADURAI SEED is duly registered as an "NGO" under the Indian Trust Act. The SEED represents the children and young people who are bursting with self potent. They need only nurturing soil, water and caring to let them grow and achieve greater heights.